Check out over 100 internship and job opportunities in Handshake with applications due this week in sectors such as the environment, nonprofits, international affairs and development, local and state governments, agriculture and energy. The listing in Handshake is HERE. The Abdul Latif Jameel Poverty Action Lab (J-PAL) is a global research center working to reduce poverty by ensuring that policy is informed by scientific evidence. Anchored by a network of more than 170 affiliated professors at universities around the world, J-PAL draws on results from randomized impact evaluations to answer critical questions in the fight against poverty. We build partnerships with governments, NGOs, donors, and others to share this knowledge, scale up effective programs, and advance evidence-informed decision-making. J-PAL was launched at the Massachusetts Institute of Technology in 2003 and has regional centers in Africa, Europe, Latin America & the Caribbean, North America, South Asia, and Southeast Asia. 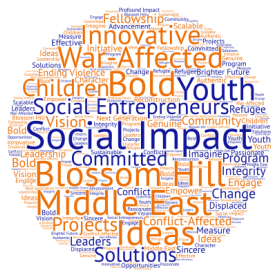 Click a team below to learn more about Social Impact at Google. Ideas – Google Ideas explores how technology can enable people to confront threats in the face of conflict, instability or repression. Elections – Their Elections and civic innovation efforts focus on how to make democracy work better by making it easier to get active, and partner with cities and social entrepreneurs to re-engineer the way public services are provided using data and better tools. Google for Nonprofits – The job of the Google for Nonprofits team is to inspire and enable billions of users to discover and support causes they care about, and supercharge the nonprofit sector with access to Google tools. Google.org – Through Google.org, [they] invest $75+ million each year in game-changing ideas to make the world a better place. [They] support innovative technologies and entrepreneurial approaches that tackle tough human challenges and scale to help millions of people. Crisis Response – [Their] Crisis Response team is working to make people safe everywhere by fundamentally changing how [they] prepare and respond in times of natural disasters or other threats by providing people with the information and tools they need. As the Fall semester continues, we want to keep you in the loop on all things Google so you might take advantage of ways to pull in the social impact opportunities. The Google University Programs team has created a monthly announcements newsletter that includes important dates and job/internship opportunities. Ask a Googler: Interview Prep Edition – Tuesday, October 16th at 9:00 PM EST – Googlers will cover internship and full time opportunities, who is eligible to apply, and important deadlines to be aware of. Ask a Googler: Resume Edition – Wednesday, October 17th at 9:00 PM EST – Google recruiters will be available to answer your questions and offer up advice. They will also be taking live questions. Ask a Googler: Opportunities/Deadlines – Thursday, October 18th at 6:30 PM EST – Google recruiters will be available to answer your questions and offer up advice when it comes to getting ready for the technical interview. Make sure to watch their Virtual Career Fair session below (there are 3 videos.) They will also be taking live questions. Also watch the FAQs and Resume Tips. If you’re interested in being added to that email list, please contact CCI’s Nicole Veilleux. You are invited, along with your parents, grandparents, friends, and/or host families to a fun event where you will reflect on different ways to think about being a change maker and finding Purpose in your work and learning. A unique, Fall Family Weekend opportunity for students to network with parents who have worked to advance the common good—planned or through happenstance—whether through careers in the public, nonprofit, business, or environmental sectors, serving on boards, or volunteering. Whether it’s in public health, public interest law, the government, social services, community development, advocacy for better school lunches, or microfinance, this is an opportunity for you, students, to interact with professionals (parents! ), promoting a deeper understanding of the different sectors while thinking about how to craft a career with a positive social impact. Students, please join us for some delicious sushi (for real!) and help inspire and guide your elders to reflect on a life of meaning. If the list seems too big and unmanageable, come make an appointment on Handshake with your resident CCI Social Impact Advisor, Tracy Himmel Isham to talk through a job search strategy to find your social change opportunity and develop a personal framework to help you manage all the information that’s out there. Are you still trying to figure out your full summer plans? We just got word that there are openings for 1 to 4 Middlebury students and alumni to participate in the DPMI (Design, Partnering, Management, and Innovation) international development and social change program being held in Washington, DC from June 4-15, 2018 (2 weeks) this summer. This will be the last year that they offer DPMI/DC, so it would be a super opportunity for those who don’t want to come to CA for the training. The website for the program is here. They are trying to fill these spots fast, and the cost is a reduced $400 (for alumni too!). I hope some of you will take advantage of this generous offer. Many Middlebury students have taken DPMI and are grateful for the applied practical project management and strategic planning skills they were able to acquire. Work at NRCS to promote conservation practices within agriculture. Spend your summer in Colorado in a 13-week long-program working on conservation, stewardship, and education projects. WYGC Foundation provides mental health and substance abuse services to low income communities in Prescott, AZ and its surrounding areas. Assist Metrus’ Business Development team in originating, developing, and financing large-scale energy efficiency projects for Fortune 500 and major institutional customers. Work at The Innocence Network, which provides pro bono legal and investigative services to individuals seeking to prove innocence of crimes for which they have been convicted. PartnersGlobal is an international NGO committed to building sustainable capacity to advance democratic institutions, civil society, and a culture of peaceful change and conflict management worldwide. DART is hiring full-time community organizers who will build relationships with faith leaders and community members from diverse backgrounds, train and develop their organizing skills, and deepen their participation in the work of their local organizations. The ACLU of Massachusetts is seeking a part-time summer communications intern to help maintain the affiliate’s website and produce online content.